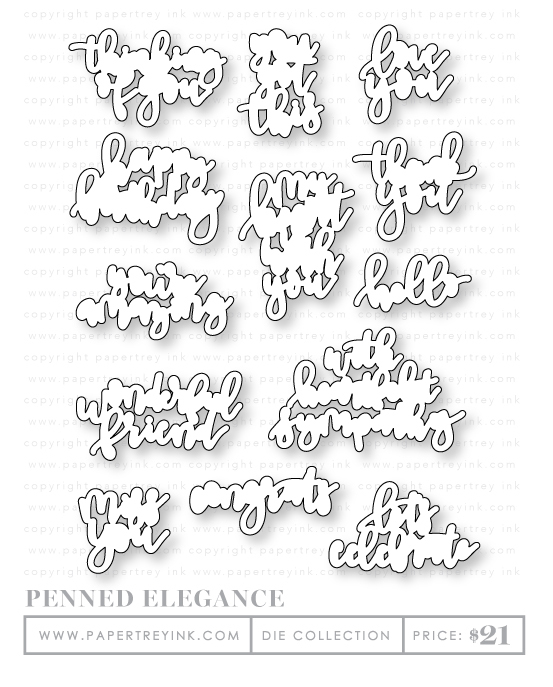 STAMP DETAILS: This set comes divided between two 4×6 acetate sheets.The “Thinking of you” sentiment is just under 2 1/8” wide and just over 1 1/4” tall. The “Happy birthday” sentiment is just over 2” wide and just under 1 1/2” tall. The “You’re amazing” sentiment is just under 2 1/8” wide and just under 1” tall. The “Wonderful friend” sentiment is just under 2 1/4” wide and just over 1 1/8” tall. The “You got this” sentiment is just under 1 1/8” wide and just under 1 1/2” tall. The “Hello” sentiment is just over 1 1/2” wide and just under 3/4” tall. The “Congrats” sentiment is just under 2” wide and just under 7/8” tall. The “Let’s celebrate” sentiment is just over 2” wide and just over 1 1/8” tall. The “Miss you” sentiment is just over 1 1/8” wide and just over 1 1/8” tall. The “Thank you” sentiment is just over 1 5/8” wide and just over 1 3/8” tall. The “Love you” sentiment is just under 1 1/4” wide and just over 1 1/4” tall. The “My heart is with you” is just over 1 1/2” wide and just over 2” tall. The “With heartfelt sympathy” sentiment is just over 2 5/8” wide and just over 1 5/8” tall. DIE DETAILS: Contains a total of 13 dies. This stylish, wide frame features a delicate floral pattern that pairs beautifully with the sentiments you already have in your collection. 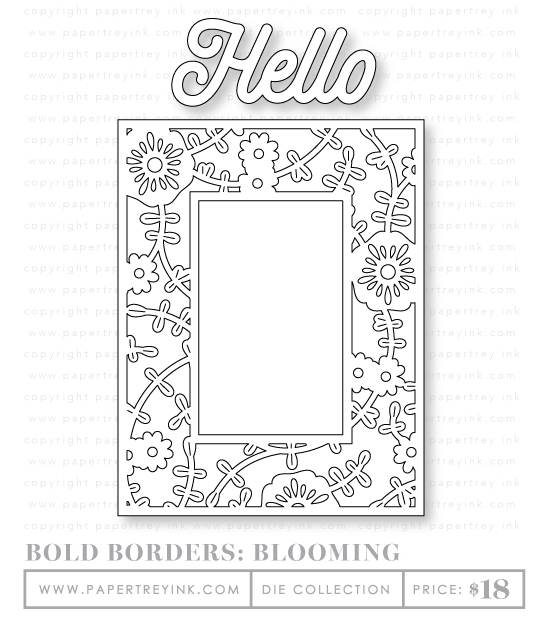 Included with this frame is a large-scale “hello” sentiment die that you can use with the Bold Borders: Blooming frame or on its own. You’ll love how easy is it to create gorgeous in a snap with this elegant die cut frame and a simple stamped sentiment. STAMP DETAILS: This set comes on one 4×6 acetate sheet. The outline bunny image is 1 1/2” wide and just over 2 1/8” tall. The solid bunny image is just over 1 1/4” wide and is just over 2 1/8” tall. The bunny tail is just over 1/8” in diameter. The assembled butterfly is just over 3/4” wide and just under 3/4” tall. The egg is just under 5/8” wide and just over 3/4” tall. The larger flowers are just under 3/4” in diameter. The smaller flowers are about 1/2” in diameter. The larger sentiments are about 1 5/8” wide and just over 1/4” tall. The typed words are just over 1/8” tall and range from 1/4” – 3/4” wide. STAMP DETAILS: Measurement Reference: This set comes on one 3×4 acetate sheet. The sentiments are just under 5/8” tall and are from 3 1/8” wide to just over 3 3/8” wide. 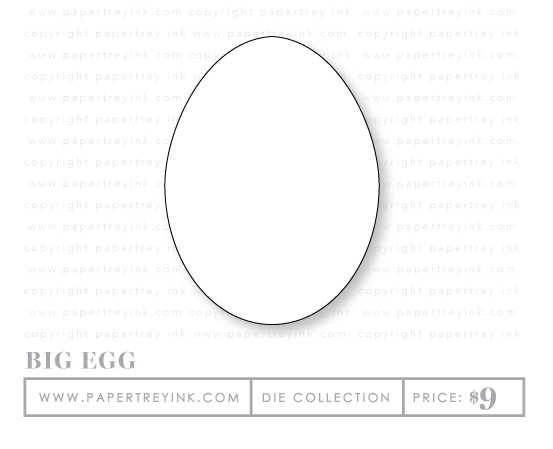 The egg images are 5/8” tall and just under 1/2” wide. The bunny is 1 1/8” tall and is 3/4” wide. STAMP DETAILS: This set comes on one 3×4 acetate sheet. The stripes range in size from 3/4” – 1” tall and about 3 1/2” wide.